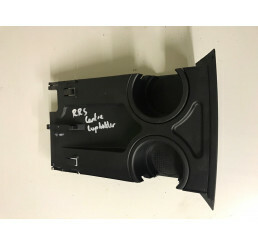 Discovery 3 / Range Rover Sport Centre Console Coin Tray FHY500030Good used conditionWill fit Range .. Discovery 3 / Range Rover Sport Centre Console Coi.. Discovery 3 / Range Rover Sport Complete Auto Gear Stick Selector Trim FJG500032Good used condition,.. Discovery 3 / Range Rover Sport Complete Auto Gear.. Discovery 3 / Range Rover Sport Steering Column Cowl Black FAI500010Good used working conditionWill .. Discovery 3 / Range Rover Sport Steering Column Co..
Genuine Range Rover Rubber Floor Mat SetFront drivers mat very worn as shown in photoOthers in good .. 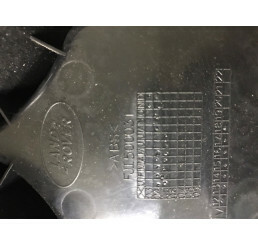 Range Rover Sport Ash Tray With Cup Holder FHM500032Good used conditionNo damage to trim.. Range Rover Sport Ash Tray With Cup Holder FHM5000.. Range Rover Sport Beige Parcel Shelf 05-12Good used conditionWill require a good cleanCover opens an.. Range Rover Sport Black Door Card Nearside / Passenger Side FrontGood used conditionNormal marks fro.. Range Rover Sport Black Door Card Nearside / Passe.. Range Rover Sport Black Steering Wheel QTB501580PVJGood used conditionNo damageNormal wear and tearA.. Range Rover Sport Black Steering Wheel QTB501580PV.. Range Rover Sport Boot/Rear Door Card in Black ESN5000052In good used condition, please see picture,.. Range Rover Sport Center Rear Cup Holder FJI500031 05-09Good used condition,Complete as shown in pho.. Range Rover Sport Center Rear Cup Holder FJI500031.. Range Rover Sport Centre Console Finisher With Wooden Panel FJV500382XXXGood used conditionWill fit .. Range Rover Sport Centre Console Finisher With Woo.. Range Rover Sport Centre Console Surround FJV500382Good used conditionSome scratches on sides as sho.. Range Rover Sport Centre Console Surround FJV50038.. Range Rover Sport D Pillar Interior Upper Nearside/Passenger Side EMR500474Good used conditionSome m.. Range Rover Sport D Pillar Interior Upper Nearside.. Range Rover Sport Dashboard BlackGood used conditionAir Bag available seperatly.. Range Rover Sport Driver Side Sun VisorGood used conditonComplete with mirror and cableWill fit 05-0.. Range Rover Sport Genuine Landrover Black Parcel Shelf 05-12Good used working conditionWill require .. Range Rover Sport Genuine Landrover Black Parcel S.. Range Rover Sport Glove Box Assembly Lower And UpperGood used conditionSome marks from useAs shown i.. Range Rover Sport Glove Box Assembly Lower And Upp.. Range Rover Sport Interior Grab Handle EDP000031Interior Roof Handle Good used condition.. Range Rover Sport L320 Nearside/Passengers Side Front Black Seat BeltGood used conditionWill fit Ran.. Range Rover Sport L320 Nearside/Passengers Side Fr.. Range Rover Sport L320 Offside/Drivers Side Front Seat BeltGood used conditionWill fit Range Rover S.. Range Rover Sport L320 Offside/Drivers Side Front .. Range Rover Sport L320 Offside/Drivers Side Rear Black Seat BeltGood used conditionWill fit Range Ro.. Range Rover Sport L320 Offside/Drivers Side Rear B.. Range Rover Sport Load Compartment Side Access Flap ESJ501090Good used condition,No damage as shown .. Range Rover Sport Load Compartment Side Access Fla.. Range Rover Sport Middle Console Heated Seat Switch Console FHM500060Good used condition,Complete ce.. Range Rover Sport Middle Console Heated Seat Switc.. Range Rover Sport Near Side Front Interior Door Trim EJN000051Good used condition.. Range Rover Sport Near Side Front Interior Door Tr.. Range Rover Sport Nearside C Pillar Trim EMG50043Good used conditionWill require cleaning05-13Please.. Range Rover Sport Nearside Rear Interior Door Trim EJN000041Food used condition.. Range Rover Sport Nearside Rear Interior Door Trim.. Range Rover Sport Nearside/Passenger Side Front Door Card With Wooden TrimLarge damage to side of do.. Range Rover Sport Nearside/Passenger Side Front Do.. Range Rover Sport Nearside/Passenger Side Front Internal Window TrimGood used conditionAs shown in p.. Range Rover Sport Nearside/Passenger Side Front In.. Range Rover Sport Nearside/Passenger Side Sun VisorGood used conditionComplete with mirror and cable.. Range Rover Sport Nearside/Passenger Side Sun Viso.. Range Rover Sport Off Side / Drivers Side Rear Door HandleGood used working condition,Will fit 05-09.. Range Rover Sport Off Side / Drivers Side Rear Doo.. Range Rover Sport Offside C Pillar Trim EMG50042Good used conditionWill require cleaning05-13Please .. Range Rover Sport Offside Driver Side Mirror Switch And Speaker CoverGood used conditionOne Lug Brok.. Range Rover Sport Offside Driver Side Mirror Switc.. Range Rover Sport Offside Front Interior Door Trim EJN000100Good used condition.. Range Rover Sport Offside Front Interior Door Trim.. Range Rover Sport Offside Rear Internal Door Window TrimGood used condition with clips.. Range Rover Sport Offside Rear Internal Door Windo..